Introducing the professionals behind Spectrum’s superior-quality services. Donning a hard hat and boots and taking cabinet measurements on the worksite is a special treat for Spectrum co-owner Lori Di Saverio. It’s not something she gets to do as often as she once did, as she also serves as an Interior Designer and Sales Representative for the company, but she makes a point of scheduling these outings at least once or twice a month. She does this because, of all the tasks on her desk, it’s the designing and the interaction with builders and customers that Lori is most passionate about. 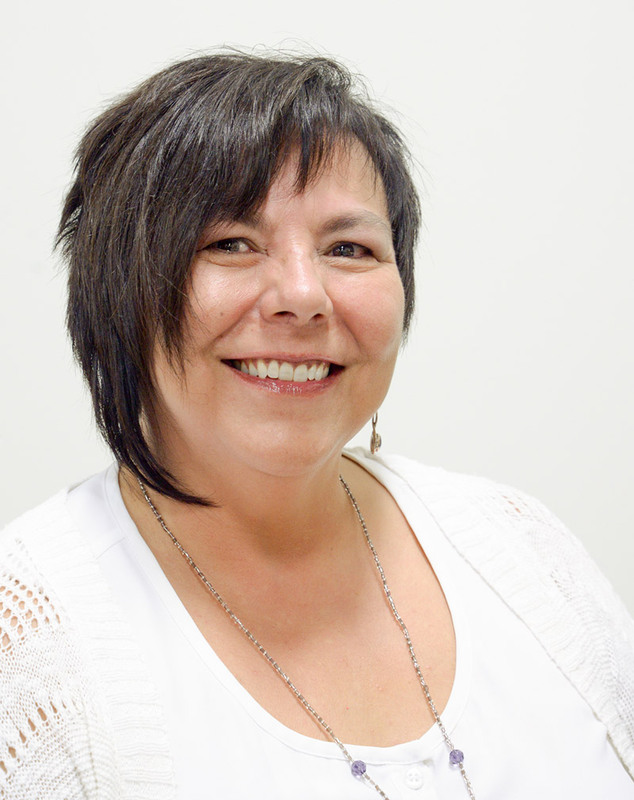 Lori is originally from Ottawa and earned her Bachelor of Interior Design from the University of Manitoba in 1982. Her career began at a kitchen company in Mississauga where she worked for about a year before moving back home to Canada’s Capital. She spent the next five years working for Domicile Developments in their kitchen division before taking several years off to be home with her children. By the time she was ready to return to the workforce in 1996, Domicile had closed their kitchen division, but a former co-worker encouraged her to join Canac Kitchens. She did, spending the next 12 years learning more about the industry and building relationships with builders in the city. When Canac closed their doors, she joined forces with Sandra McLaurin and Peter Summers to form what is now Spectrum Kitchen & Bath Design. As Co-owner of Spectrum, Sandra McLaurin never has a “typical” day at the office, and that’s what she loves most about her job. Multitasking with roles in Sales and as a Design Consultant, Sandra works one-on-one with customers and builders both at the office and at job sites. Seeing a project go from concept to reality is what fuels her passion. Originally from Moncton, New Brunswick, Sandra came to Ontario when she was five years old. In 1985, she started with Canac Kitchens, then a fledgling kitchen company in Ottawa. As it grew, so did Sandra’s breadth of knowledge and experience in the industry, not to mention her rapport with what are now some of Ottawa’s most prominent builders. When Canac closed in 2008, she partnered with Peter Summers and Lori Di Saverio to form what is now Spectrum. For Peter Summers, the best part of his job is when he can look at a freshly installed kitchen that is matched to the customer’s or builder’s specifications and know that it will be a cherished part of the home it resides in. Peter is Co-Owner and Installation Manager at Spectrum, running the business with partners Lori Di Saverio and Sandra McLaurin. 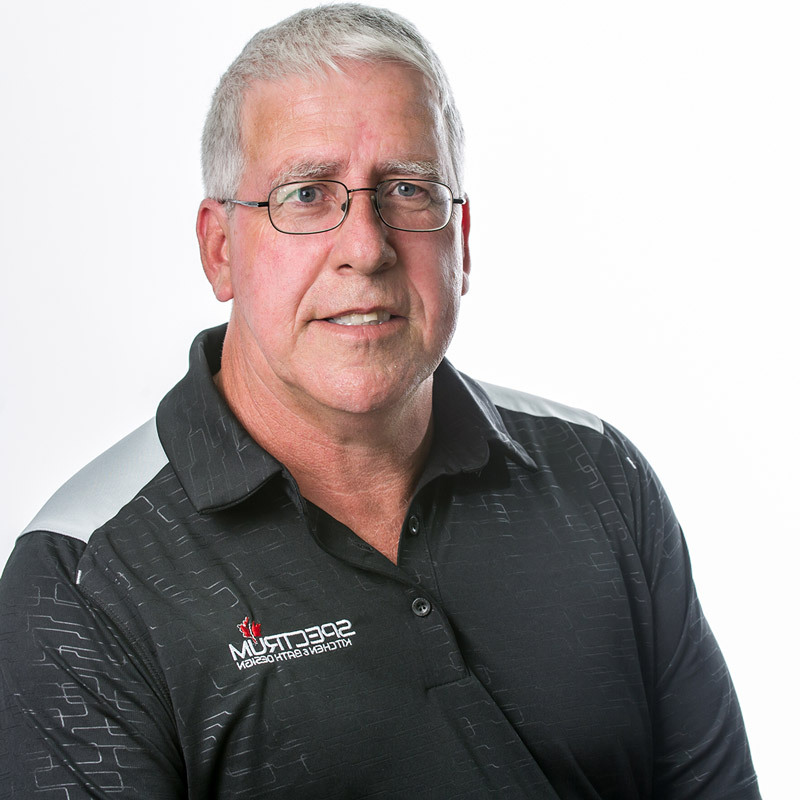 With 100-percent of his industry knowledge coming from hands-on experience, Peter knows how important it is to make sure every job is done properly, on time, and on budget. The Ottawa native began his career at Specialty Kitchens, working on cabinet manufacturing for about six years after high school. From there, he joined Canac Kitchens, and spent the next 20 years doing kitchen installations, followed by about five years in service, and ultimately, management. He now puts all those skills to good use at Spectrum, working with homeowners and builders to see kitchens and bathrooms of all kinds take shape. In his almost 40 years in the industry, design has changed a lot, but his passion for getting the job done right hasn’t. Peter Hadchity is proof that good management results in dedicated employees. For him, feeling a strong sense of belonging to the Spectrum team has made him even more devoted to his role as a Design Consultant and Sales Representative, and in turn, he purposely goes out of his way to ensure each customer is happy with their project. 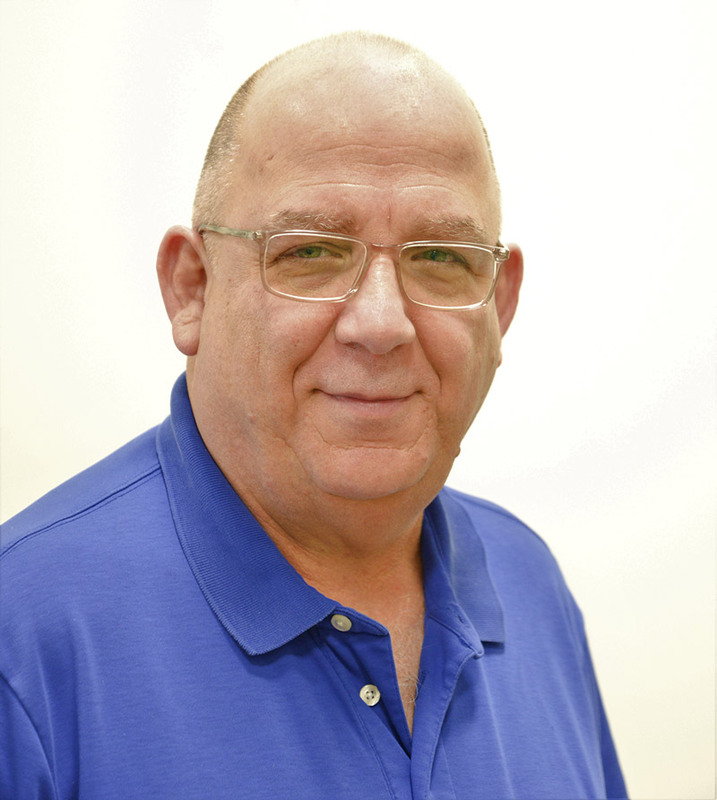 His nearly 40 years in the field has given him a wealth of knowledge and experience in the industry. It all started when he took over his father’s kitchen cabinet company in Barbados, where he grew up. Peter ran the company for seven years before closing it in 1985 to move to Canada. Peter worked in kitchen production and later in sales for Morewood Industries in Ottawa until it closed. He then immediately landed a job at Canac Kitchens in 1989, where he spent 21 years in sales. Working with small and medium-sized builders, as well as retailers, Peter created many beautiful kitchens for his clients. When Canac Kitchens closed its doors in 2008, he took a year’s sabbatical before joining the Spectrum team in 2009. Peter treats Spectrum as though it’s his because, for him, the team and their customers are like family. For Kim Ozen, liking your kitchen or bathroom isn’t enough. She wants you to be thrilled with it. And she’s confident she can help make that happen. As a Design Consultant at Spectrum, Kim believes that you can have a space that is functional, efficient, and beautiful, all without having to settle. She specializes in retail, renovation, and custom homes, and is there every step of the way with her clients, from inception to conception. 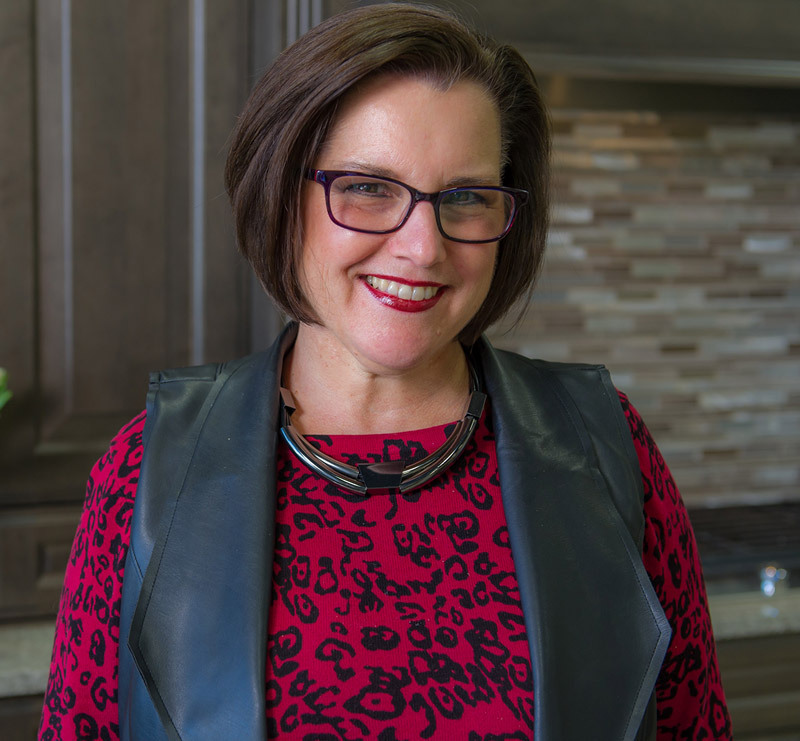 She graduated from the Business program at Algonquin College in 1986 but took the following three years to travel before starting a home-based staging and decorating business in 1990. In 1996, her job description changed to full-time mother. In 2011, she returned to Algonquin College to upgrade her skills. She then earned her diploma in Interior Decorating, which she needed in order to obtain acceptance into the graduate program for Kitchen and Bath Design, which is an approved accredited National Kitchen & Bath Association (NKBA) program. She graduated with Honours in 2013. Her internship at Spectrum turned into a full-time job. Kim loves the fast pace and creativity the job offers and the chance to meet new people and work with them toward creating the kitchen or bathroom of their dreams. 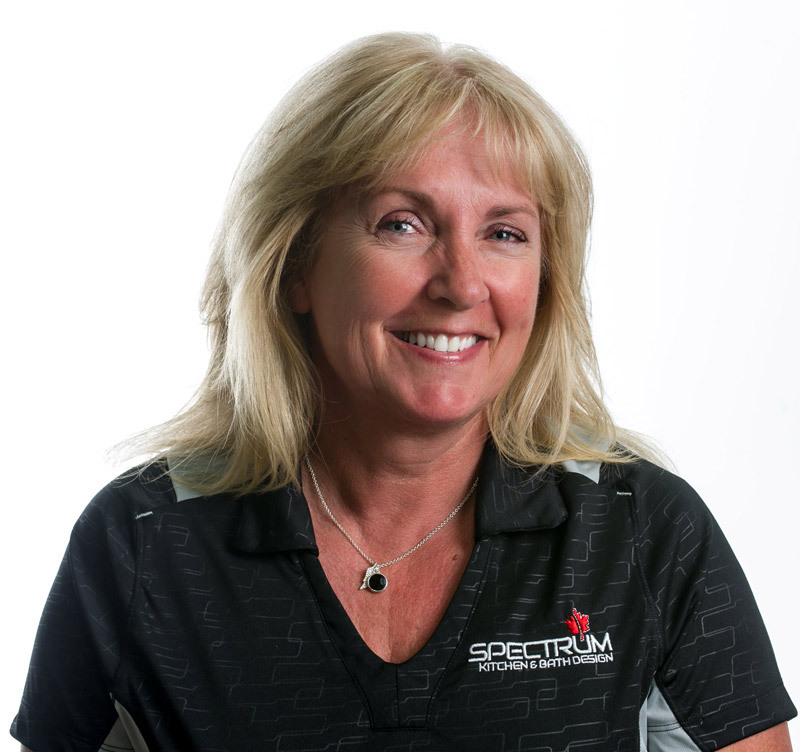 It’s a winning combination that has led Maria Jenkins to her role as Design Consultant and Sales Representative at Spectrum. To her clients, however, it’s her passion and commitment that stands out the most. 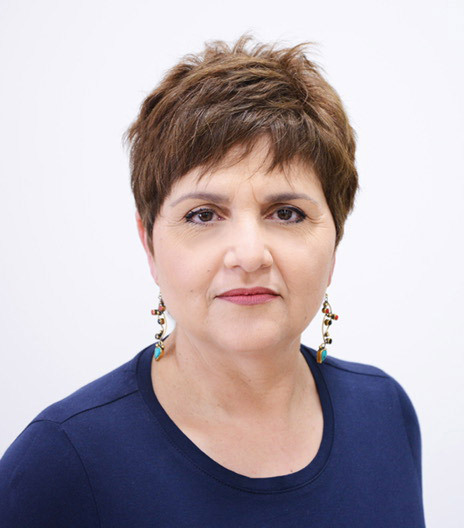 Maria has been working in various aspects of interior design since 2001 when she was employed as an office manager for a closet design company. Prior to this, she owned her own aesthetics company. Finding the managerial role unsatisfying, she began to pay closer attention to the detail of the closet designs that crossed her desk and, before long, formed the opinion that she could do it better. So she did. As a self-confessed “nitpicky organizer,” the Ottawa native had a natural flair for organizing and designing. When the company she worked for went under, she rose up. She began taking courses in Professional Organizing and Interior Decorating and became a Professional Organizer. Making the move to kitchen and bathroom design came with a new set of challenges, especially after being hired for a job with only her positive attitude and willingness to learn as assets. But whenever that design job knocked her down, she got back up and kept going. Maria worked for two premiere kitchen companies in Ottawa before taking a five-year hiatus. In 2018, she returned to the industry as a designer for Spectrum. Her passion for design doesn’t end with kitchens and bathrooms, either — she has designed built-in furnishings for her home and has even helped friends and family with interior design and organizing.